Where do I even begin? Volition made my heart ache. It’s the good kind of hurt- the kind you get when you’re enthralled by the characters and you feel the prose speaking to you, coming alive. Even with Lily’s foreword, I wasn’t sure what to expect with this one. 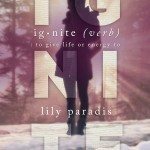 I knew it was going to be different from her debut novel, Ignite. But upon reading, different felt like an understatement. Volition was uncharted territory. I couldn’t help but devour it and feel it. 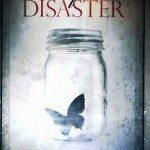 Tate McKenna is a force to be reckoned with- a girl with a truly dark soul. She escapes her hometown, running away from her tragic past and Jesse Elliott, the boy who she’s felt magnetized to her whole life. She takes a plane to New York where she meets the irresistible Hayden Rockefeller. Even with the alternate now and then chapters, Tate’s morose narrative was unchanging. I know it won’t appeal to all kinds of readers- but I personally grew to really like it, despite my initial skepticism. Tate’s character was genuine, not once hiding her destructive flaws and thoughts, and I couldn’t help but root for her to break free of the darkness that clawed over heart and find happiness. Hayden was a wonderful romantic interest. He was the perfect guy for Tate and I just loved him and wanted him to be the one for her. 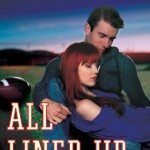 Tate is attracted to him from the start but what with struggling with her demons, she was largely unprepared and reluctant to commit to a relationship. I admired how Hayden was so patient and loving and supportive when it came to Tate. He’s been through his own tragedy before and he understood Tate so much, knew her on some deep unshakeable level. My Tate x Hayden feels are strong, I tell you. I think my only minor reservation with Volition was how I grappled to understand the connection (read: near-obsession) Tate had with Jesse. I did get that even Tate and everyone else around her couldn’t quite understand it also. (I appreciated how Colin and Catherine, Tate’s awesome best friends, pointed out how unhealthy it was.) Though I had no liking for Jesse, I wish his character had been more concrete just so that I could make more sense of what drew Tate towards him or him towards her. Basically, at some point, I felt a little dubious about how authentic/realistic the Tate-Jesse thing was. That said, it was the crux of the story and I wouldn’t wish it away. The writing in Volition is seriously my favorite thing about it. It was excellent and lyrical! 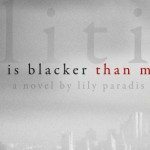 Reading Lily’s words felt like listening to a haunting song, the kind you keep replaying over and over for an indecipherable reason. I loved to infinity how the idea of soul mates and fate were explored in the book. It made me pause and think hard- something I treasured when it comes to reading. Volition turned out to be really thought-provoking and full of beautiful quotes. It’s far from light and cheerful and it won’t be for everyone but it’s a great endeavor that I hope more readers will choose to venture on. Meanwhile, I’m very much ready for whatever Lily Paradis has in store for us next. 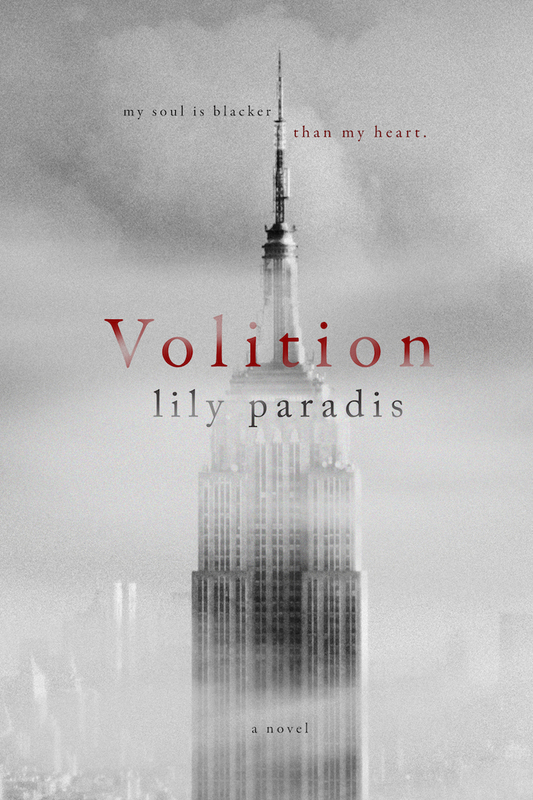 Violition’s cover is exceptional, and I think it really does well to convey those dark undertones to the novel. I’m glad that it’s romantic, and thought-provoking too. Sometimes we get one, but not the other, so to hear about a book that has both really does bump it up, doesn’t it? Oh! I really haven’t heard all that much about Volition, but your review has certainly gotten me intrigued. I might just have to put this one on the list to check out! Whoa, some of those quotes are potentially mind-blowing (I skimmed). This has been on my radar but now I’m really interested!